Photo – Grace Salez. 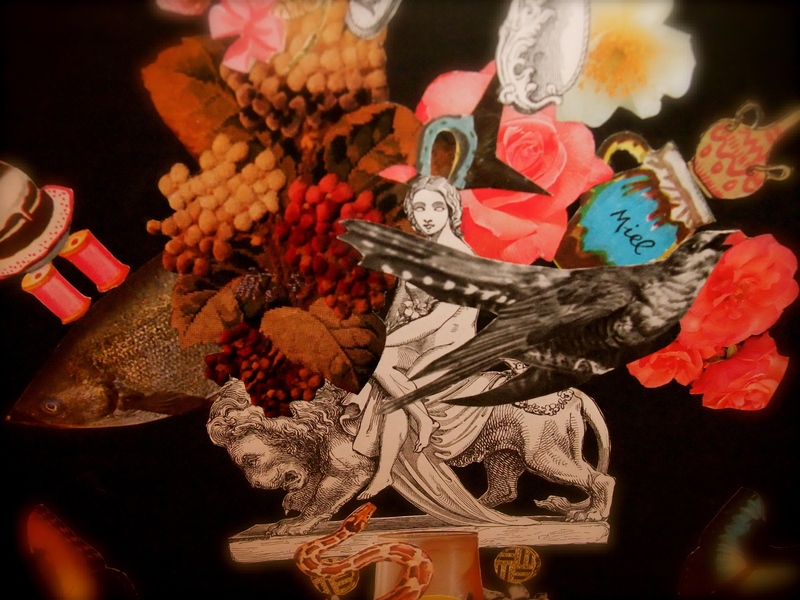 Collage by Valerie Salez. LaSaM‘s second yowl at encrusted seasonal norms. Compilation Anti-dote is a multi-discipline / multi-genre celebration of the season with experimental film and retuned, detuned, warped and otherwise altered seasonal music. If your eyes and ears are longing for something other than the inescapably banal, this is the time and place to be. 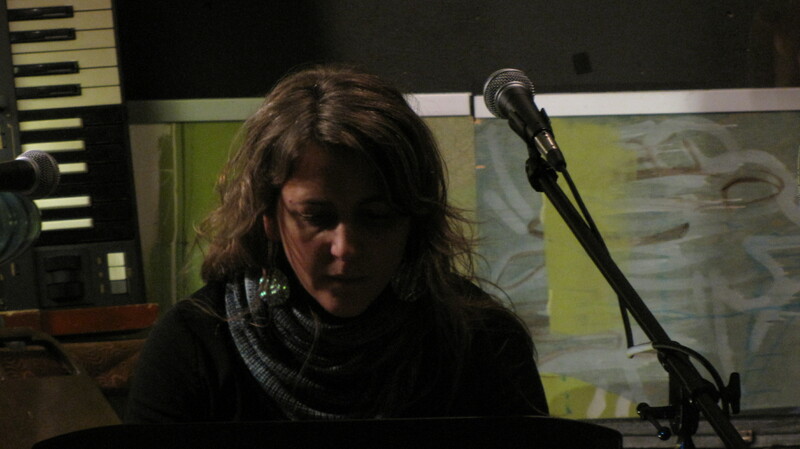 LaSaM’s Compilation Anti-Dote at Fort Street Cafe December 2010 brought collaborations with two of Victoria’s finest creative musicians: Anne Schaefer and Kelby MacNayer; and the return of past collaborators Brian Stubbs and Paul Charbonneau. A quartet accompaniment to Pamela Millar’s beautiful video Blue Bridge inspired plans for a longer composition of the same theme, while Grace Salez’ film 5 Senses invoked a sonic accompaniment based on the harmonic series from bells heard in the film. Timothy Gosley again astounded with a spectacular, nuanced and magical show of light, projection and reflection.